Liddicoatite: Mineral information, data and localities. Light-brown, pink to red, green, blue, rarely white. Note on the nomenclature: the "liddicoatite" holotype (Dunn et al., 1977) is F-dominant on the W-site, although the originally suggested formula was OH-dominant. Therefore the type material has been redefined as fluor-liddicoatite (Henry et al., 2011); "liddicoatite" is currently a non-approved species. The sample characterised in detail by Aurisicchio et al. (1999) is OH-dominant. Material analysed by Breaks et al. 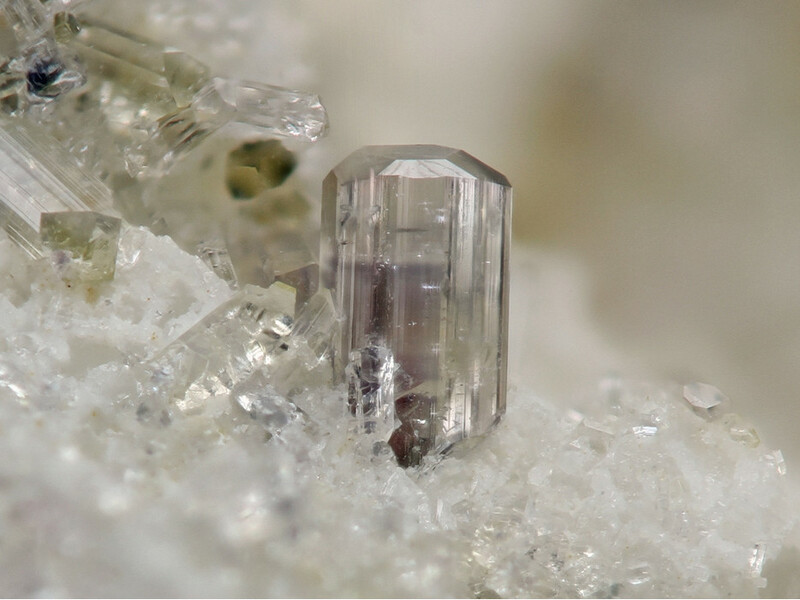 (2008) is also OH-dominant and therefore liddicoatite according to the new nomenclature. NOTE: All localities listed here under "liddicoatite" should be checked if they are to be assigned to fluor-liddicoatite or liddicoatite. Visit gemdat.org for gemological information about Liddicoatite. Probably similar to data for fluor-liddicoatite. Quartz 3 photos of Liddicoatite associated with Quartz on mindat.org. Londonite 3 photos of Liddicoatite associated with Londonite on mindat.org. 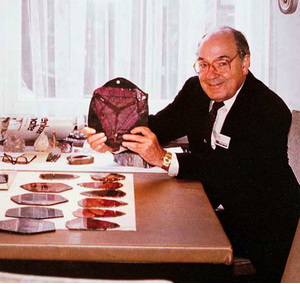 Nuber, B. and K. Schmetzer (1981): Strukturverfeinerung von Liddicoatit: Neues Jahrbuch für Mineralogie, Monatshefte 1981, 215-219. Breaks, F.W., Tindle, A.G., and Selway, J.B. (2008) Electron microprobe and bulk rock and mineral compositions from rare-element pegmatites and peraluminous, S-type granitic rocks from the Fort Hope pegmatite field, north-central Superior Province of Ontario. Ontario Geological Survey, Miscellaneous Release Data, 235. The following Liddicoatite specimens are currently listed for sale on minfind.com. Tindle, A. G., Selway, J. B. & Breaks, F. W. (2005): Liddicoatite and associated species from the McCombe spodumene-subtype rare-element granitic pegmatite, northwestern Ontario, Canada. Canadian Mineralogist 43, 769-793. Novák, M., Selway, J.B., Černý, P., Hawthorne, F.C., and Ottolini, L. (1999) Tourmaline of the elbaite-dravite series from an elbaite-subtype pegmatite at Blizná, southern Bohemia, Czech Republic. European Journal of Mineralogy 11, 557-568. Pezzotta, Federico and Guastoni, Alessandro, The New Discovery of a LCT Pegmatite in the Adamello Massif, Central Southern Alps, Italy; Museo Civico di Storia Naturale, Milan, Italy. Aurisicchio, C., Demartin, F., Ottolini, L. & Pezzotta, F. (1999): Homogeneous liddicoatite from Madagascar. A possible reference material? First EMPA, SIMS, and SREF data. European Journal of Mineralogy 11, 237-242.
ⓘ Tsarafara Sud (Ankadilava) ? ⓘ Ampanodiana South pegmatite ? Dunn, P. J., Appleman, D.E. & Nelen, J.E. 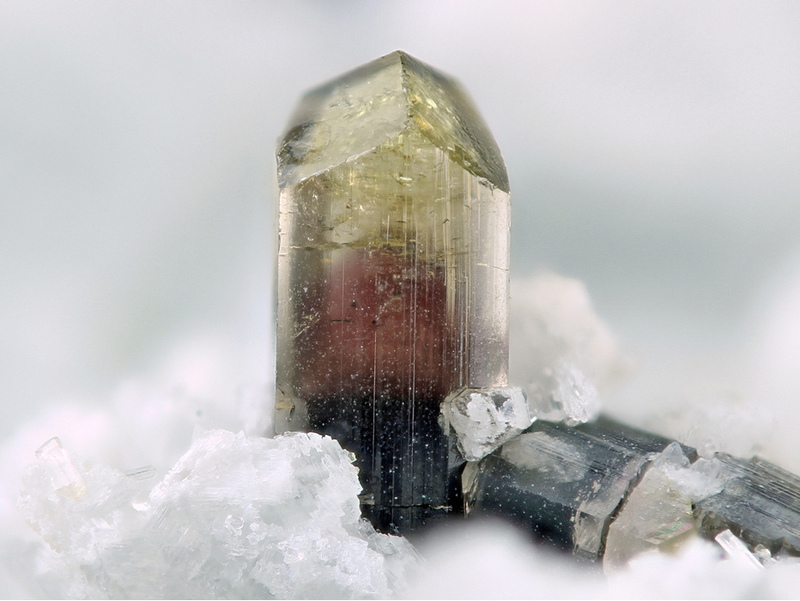 (1977): Liddicoatite, a new calcium end-member of the tourmaline group. American Mineralogist 62, 1121-1124. Fialova, D., Kremplova, M., Hynek, D., Konecna, M., Kaiser, J., Malina, R., ... & Adam, V. (2013). Sosedka Pegmatite Metal Ions Composition Determined by Voltammetry. Int. J. Electrochem. Sci, 8, 7853-7867.
ⓘ Minh Tien Mine ?